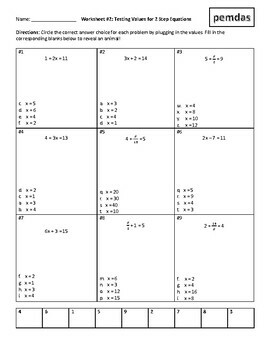 These 4 worksheets allow students to access the beginnings of solving equations. The activities are accessible as far as directions and content. 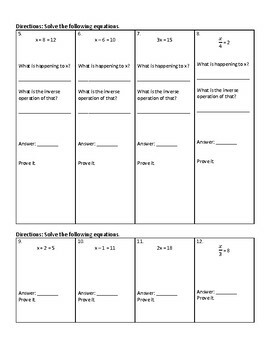 I have used this as an introduction to equations in full class as well as small group settings. 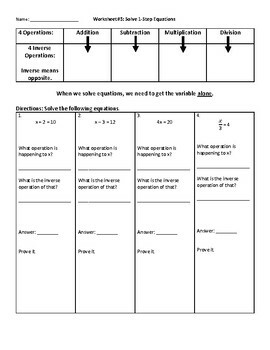 Additionally, I have used these resources as remediation for equations with students who are struggling. 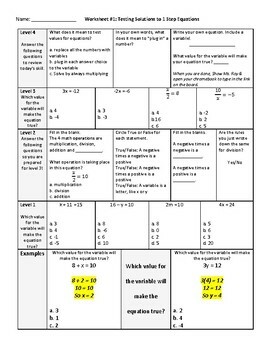 Check out my Expressions and Equations Bundle for more products!